Housesitting Algarve properties affords the housesitter a great opportunity to enjoy a unique European destination. 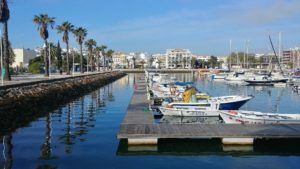 The Algarve has both an ancient and modern cultural heritage which you can enjoy while paying little or nothing for accommodation if you housesit. 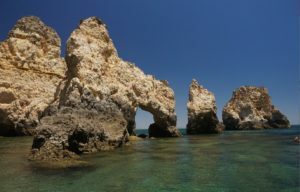 In recent years, the Algarve has received significant attention after a long period of recession. It’s a very popular Portuguese region and for good reason as it has been well preserved and carefully developed. 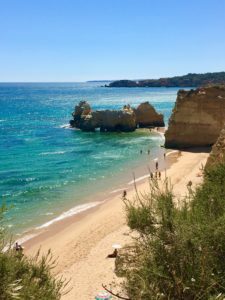 Local expert and editor to My Guide Algarve Fiona Butler offers HouseSitMatch her set of tips for what to see. Never has housesitting Algarve homes been more appealing. Don’t miss these top recommends! Alvor, a fishing village that has retained its old world charm, offers everything you could want in a beach holiday. Up in the village the long winding streets offer a great selection of cafes and restaurants set against a traditional scene as if from a period film set. Along the beaches you have the choice of small cove sheltered beaches on the eastern side, and long expanses of sandy beaches on the western side. Access is very easy because you can park nearby and simply walk onto the beach. There is also an opportunity to walk along the wooden boardwalk by the river estuary, taking in the sea and the atmosphere on your promenade. If you are lucky enough to secure an opportunity housesitting Algarve find yourself traveling in the area this really is a top recommendation. Top Tip – The cliff top walk – Don’t miss the stunning scenic walk along the cliff tops by Prainha, and the secret romantic restaurant at Caniço and the fantastic fish restaurant at Ababauja. 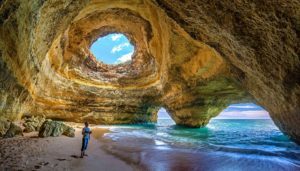 There are also boat trips out to sea from the harbour at Alvor allowing you to reach some of the most exquisite sea cave and grotto formations. Visit the Benagil Sea Cave a spot of stunning natural beauty. The large dome sea cave of Algar de Benagil (Portugese name) opens to a wide expanse inside with natural apertures in the high ceiling pouring sunlight onto the beach below. This is a unique experience and one not to miss if you happen to be housesitting Algarve properties and pets. Top Tip – Ponta de Piedade – Don’t miss the caves and grottoes which can be seen best by boat, but also by land. Amazing scenery. Lots of steps but worth it. Boats can be taken from Lagos marina. One of the cites that is well worth visiting for the rich cross cultural history is Lagos town, near to Ponte de Piedade. Importantly, Lagos has a history that is visible in its ancient city walls and the narrow cobbled streets of the old town. In the Portuguese Age of Discoveries (15th C) Lagos rose to strategic importance because of Prince Henry the Navigator’s ambitions. He was a great explorer heading up brave expeditions to Morocco and the coast of Africa. Today the town has a bohemian cool and laid back vibe. Importantly it has a modern architectural twist achieved through recent investment such as the stunning marina built alongside beautiful cove beaches – Praia do Camilo, Praia d’ Ana. Great restaurants and lively nightlife, keeping the surfer crowd happy. Tavira town just 30 km from Faro is known as the Queen of Portugal. Importantly, the architecture of the town offers a rare experience tracing the history of the town from Roman to modern Portugal. Besides that there are over 20 chapels, a castle overlooking the Ria Formosa and with an ancient roman bridge. There are also stunning beaches to enjoy which you can access easily by ferry from the town – 15 minute ride. The Ria Formosa is an amazing place in it’s own right beautiful and sustainable mainly because it’s a protected area with a rich sea flora and fauna. Cacela Velha is a small Hamlet near to the town of Tavira, unspoilt, gorgeous and worth visiting because it overlooks the Ria Formosa. Sagres is a small town with a unique location on a rocky outcrop that juts out into the Atlantic. Importantly, it is traditionally known as the end of the world. The coastal town offers huge horizon with the memorable sunsets and lungfuls of the freshest air. This rare town offers the historical setting for many important launches of the Portguese Age of Discoveries. The history is visible all around the streets and buildings of this small town. Popular with surfers the town now hosts diverse visitors from the wave-seeking surfers to weekend fisherman, history buffs and holiday makers. Don’t miss the view above the harbour, back across the coast with the Ilhotes de Martinhal rocks in the foreground. A protected natural park the Costa Vicentina stretches from Odeceixe – a super fluvial beach right down to Burgau near Lagos. Much of this are is a natural park, with a stunning coastline, pristine beaches, cliffs, dunes, and a bo-ho vibe. Importantly, don’t miss the beaches at Odeceixe because it’s great fun to ride the currents in the estuary at Monte Clerigo and Arifana. Caldas de Monchique is a spa town in the mountains of the Algarve famous for its natural waters and lush leafy green oásis. The natural springs have been tapped since Roman times, now offering baths spas and thelassotherapy with reputed healing powers. Great resort at MacDonald Monchique. Keep going upward above Caldas, beyond the town of Monchique itself, up to Foía. Don’t miss the highest mountain point of the Algarve at 902 metres of elevation because there are spectacular views on a clear day. Travel north of the market town of Loulé to the hamlet of Querença, leafy, green and a hub of tradition. Famous for its choriço sausages and other delicacies. Nearby is the Fonte de Benemola – a protected area with streams and a walking trail. The sea in Portugal and especially the Algarve offers stunning beaches clean and safe as places to swim or to sail. The Atlantic is a constant presence wherever you are in the Algarve. If you are housesitting Algarve homes it will be easy to visit beaches nearby to enjoy the wonderful coast. Even during winter storms it is stunning, you can hear the waves beating on the shore inland. Fish makes up a huge part of the diet here year round, and of course in the summer, everyone is on the beach bathing and enjoying marine life. Traditionally, the old and the young go in the morning or late in the afternoon. However, they never go in the middle of the day. Therefore be mindful of these cultural rituals if you are traveling or housesitting Algarve homes living in traditional neighbourhoods. West coast – Great for surfing and fishing, the waves are bigger, currents stronger and the water colder. East and South coast – the water temp rises and the waves get smaller. Diving – Created exclusively for divers there is an underwater reef park made of 4 decommissioned sunk ex-navy boats. Boat trips for wildlife – Take boat trips to look for dolphins in the wild – you can also see dolphins at the Zoomarine park. Do you have a property available for house sitting in the the Algarve? Or would you like to be housesitting in this stunning region of Portugal? Join HouseSitMatch.com and find a way to exchange your services for mutual benefit. Join HouseSitMatch today.